Metal Hurricane Panels or storm shutters offer maximum protection at the lowest possible cost. They are strong, yet lightweight for fast, easy installation. Home Safety Solutions has been protecting homes, possessions and families from violent weather and hurricanes over 3 decades. Be sure to follow us on Facebook here> for possible Tampa Metal Hurricane Panels discounts we may be offering. 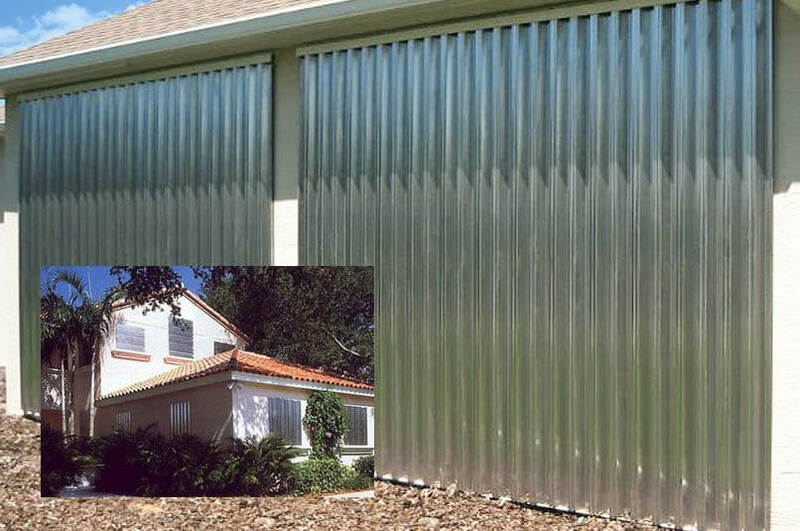 Professional Metal Hurricane Panels installation services for Pinellas, Hillsborough, Pasco and Hernando areas. Miami Dade Approved NOA 12-0209.06, Florida Building Code Approved FBC #FL11964 Click here to request quote.